The nylon rollers of our Wire Straightener Tool make it easy to straighten and smooth wire that has already been worked. Saves money by allowing you to reuse wire that would otherwise be wasted. How it works: Put the rollers in your hand in the open position with each of the rollers side by side. Lay the end of a piece of wire that requires straightening on the three rollers, then move the rollers until they form a triangle with the wire in the center. Grasp the rollers in one hand holding tightly, then pull the wire through the rollers to straighten. You may need to pull through a second time for highly bent wires. 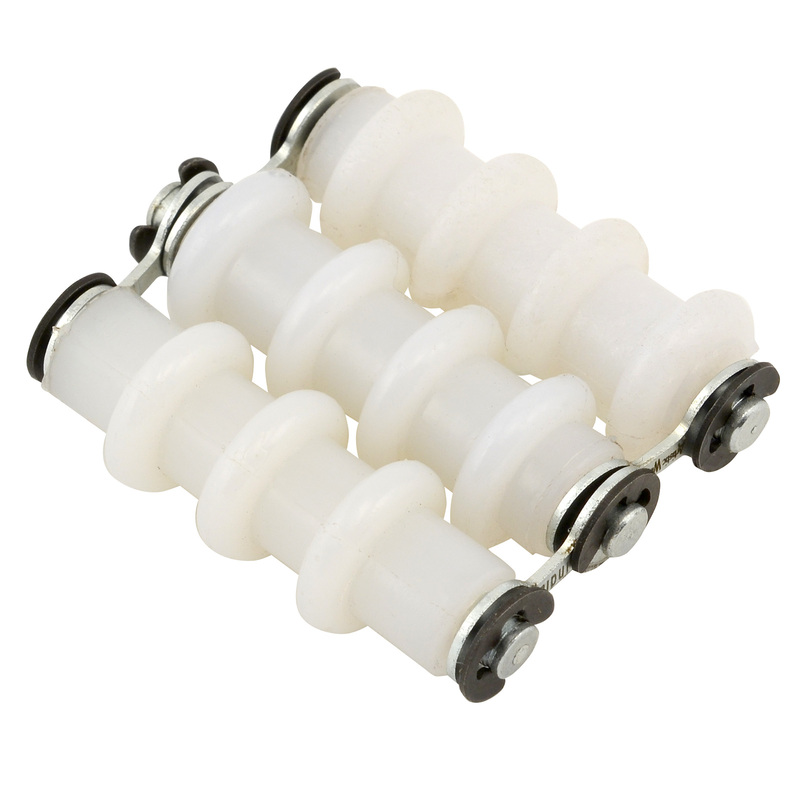 Nylon rollers help keep wire coating intact.